(TibetanReview.net, Jan25, 2018) – As Tibetan language activist Tashi Wangchuk awaits verdict for alleged incitement of separatism, 14 French Senators have on Jan 23 called on China to observe internationally recognized legal standards and provide him with a fair and transparent judgment process. 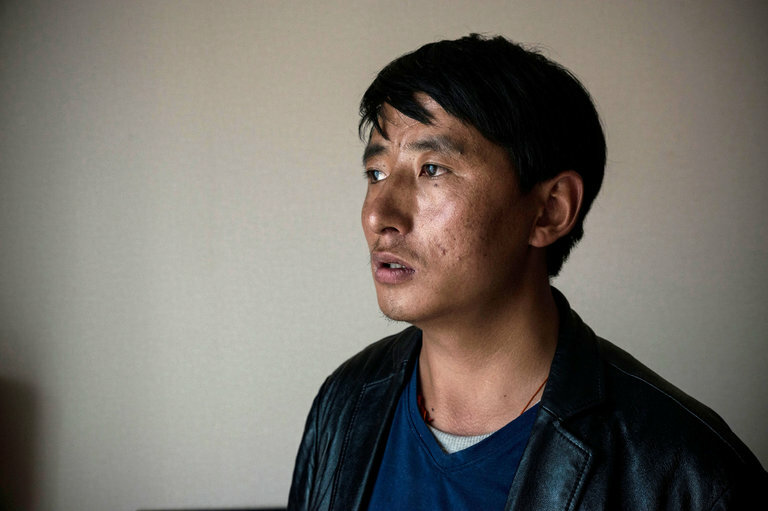 Tashi Wangchuk, 32, had launched a personal campaign in his home town in Yushu Prefecture, Qinghai Province, urging the authorities to respect the Tibetan people’s legally guaranteed right to use and to be taught in their own mother tongue and was tried for the alleged offence on Jan 4. A date for a verdict has yet to be announced. In a statement issued by the International Information Tibet Group of the French Senate, the senators have called for a fair and transparent trial of Mr Tashi Wangchuk and urged the People’s Republic of China to implement a judgment process that is in consonance with internationally recognized legal standards, including with the presence of observers at his trial. They have also called for him to be granted access to a lawyer of his choice and to be given access to his family on a regular basis. It was earlier reported that during the trial, only three members of his family were allowed to attend the hearing although many had come while foreign diplomats were also note allowed to enter the courtroom. The statement, in French, was stated to have been signed by the group’s President Michel Raison; Vice-Presidents Annick Billon, Patricia Morhiet-Richaud, André Gattolin, and Laurence Haribey; Secretary Pascale Gruny; and members Michel Amiel, Bernard Fournier, Jean-François Longeot, Jacqueline Eustache-Brinio, Alain Houpert, Elisabeth Lamure, Bernard Jomier, and Maurice Antiste.